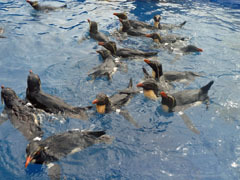 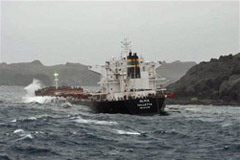 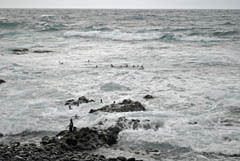 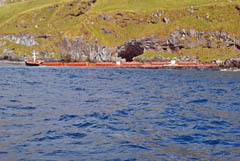 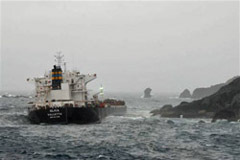 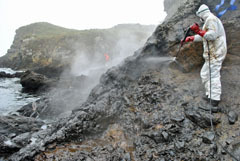 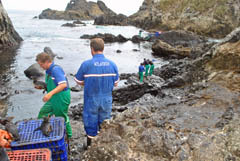 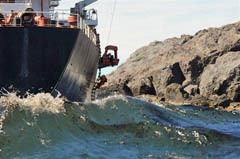 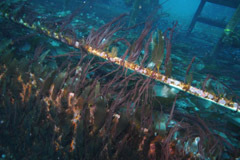 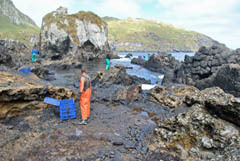 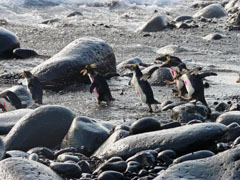 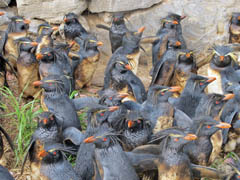 The grounding of the bulk carrier MS Oliva on Nightingale Island on 16th March 2011 had a major impact on local wildlife, notably penguins fouled by fuel oil. 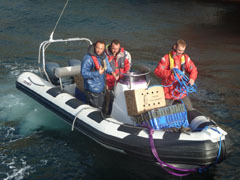 The islanders were awarded the RSPB Medal for a major clean-up operation they undertook. 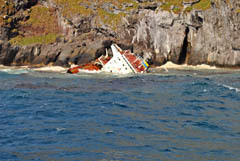 By 18th March MS Oliva had broken her back. 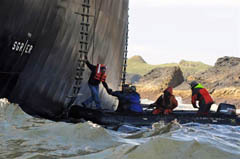 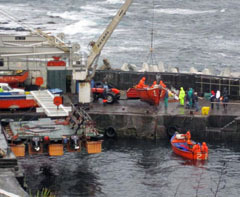 The stern section capsized (see left and centre above) with the larger forward section firmly on the reef (Above right). 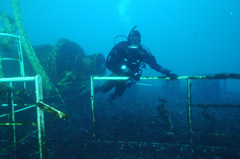 as the ship became a wreck. 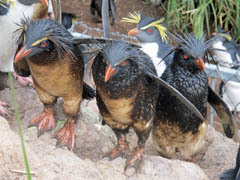 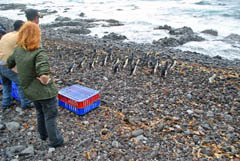 On 23rd March the first batch of oiled Northern Rockhopper Penguins were brought to Tristan aboard MV Edinburgh and into rehabilitation on the main island. 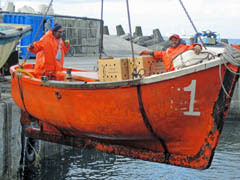 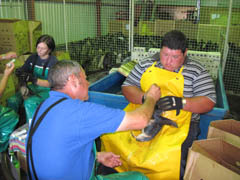 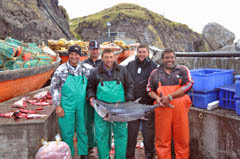 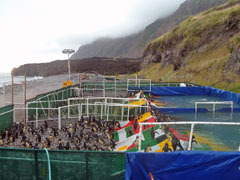 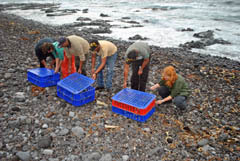 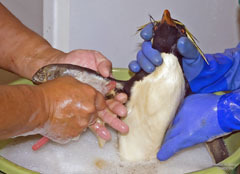 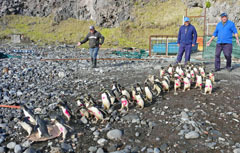 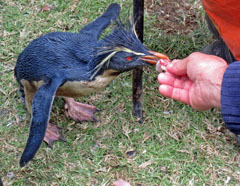 The penguins in rehab need a lot of food - pictures of Islanders landing and preparing fish.